Minas Gerais is a mountainous state north of Rio and Sao Paulo. It was the first place that colonists rushed to mine gold in the 17th and 18th centuries, so as you can imagine it boasts fascintating colonial architecture, picturesque landscape and natural parks. The best places to stay in Minas Gerais are remote lodges set in the hills and colonial boutiques in charming towns and villages. Minas Gerais offers a wonderful landscape to explore, the perfect alternative to the more well trodden tourist routes that stick to the coastline. Visit a UNESCO world heritage site; Ouro Preto (or 'black gold') is the most famous of these towns. Marvel at Baroque architecture in Mariana, São João del Rei and the lovely village of Tiradentes. Buy some beautiful gems; amethysts, aquamarines, tourmalines, citrines, emeralds and the rare Imperial Topaz found nowhere else on Earth. Mineiro cuisine is famed throughout Brazil, healthy portions and utterly delicious! There's plenty to do, see and eat in Minas Gerais. It's about cultural exploring, nature, and relaxation. 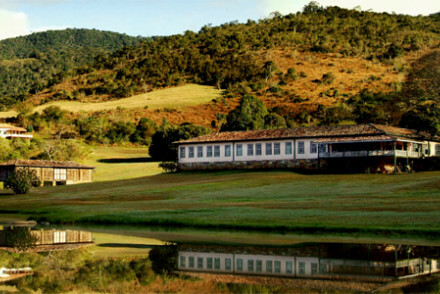 The hotels that make the most of this are the best places to stay in Minas Gerais. The Reserva do Ibitipoca is a stunning lodge in a Natural Park with beautiful boutique rooms and gardens and terraces that let you soak in your surroundings. There's also an Ayurvedic spa and riding safaris on offer. 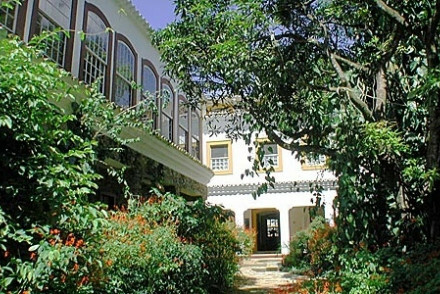 Solar da Ponte is a charming colonial house on a cobbled street in the village of Tridentes with old world rooms and suites, four poster beds and bags of character. Belo Horizonte international airport is situated within the state of Minas Gerais. Between June and September is the best time to avoid the rainfall, however, temperatures are cooler, averaging around 20 - 24 degrees. If you want to when it is hotter. remember to take an anorak - as between November and February is when it rains the most, but the weather is also a bit more warm, and humid. A charming colonial house turned boutique inn in a village with cobbled streets. Old world rooms and suites have four poster beds and lots of space. Lovely gardens and pool, walking distance to restaurants, and lots of wildlife to view. Bags of character with lots of exploring to do. Sights nearby - Wander around the cobbled streets of Tiradentes. Restrictions on children - Over 8s welcome. A stunning lodge in the Natural Park with boutique rooms, an Ayurvedic spa, glorious surroundings, and lots of wildlife to view. Fantastic food, all included, and sumptuous suites in traditional style. A few separate houses perfect for groups or families. Horses to explore the area. Fab! Groups - A few private houses with 3 bedrooms are perfect for groups or families.